. يعمل Kangaroo Island Seaside Inn على ضمان إقامة مريحة لضيوفه من خلال خدماته الممتازة وحسن ضيافته. يقدم العقار واي فاي مجاني في جميع الغرف, خدمة غسيل ذاتية, خدمة التنظيف يوميًا, مرافق مخصصة لذوي الاحتياجات الخاصة, تسجيل وصول/خروج سريع لضمان الراحة القصوى لضيوفه. بالإضافة لهذا، تتضمن كل غرف الضيوف مجموعة واسعة من وسائل الراحة . بعض الغرف توفر حتى تلفزيون بشاشة مسطحة, اتصال لاسلكي بشبكة الإنترنت (مجاني), حوض الاسترخاء, غرف لغير المدخنين, مكيف هواء لإرضاء أكثر الضيوف تطلبًا. يقدم الفندق العديد من الفرص للاستجمام كمثل مسار جولف - ضمن 3 كم, حديقة. 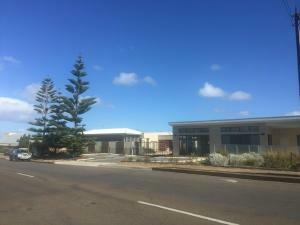 اكتشف مزيجاً ساحراً من الخدمة الاحترافية والخيارات الواسعة من وسائل الراحة والمتعة في Kangaroo Island Seaside Inn. يُرجى ملاحظة أن مطعم الفندق يقدم وجبة العشاء يومي الجمعة والسبت فقط. ومع ذلك، يتم تقديم وجبة الإفطار كل صباح. يكون تسجيل الوصول من الساعة 7 صباحًا إلى 11 صباحًا ومن 2 بعد الظهر إلى 6:30 مساءً. يجب على النزلاء الذين سيصلون خارج ساعات تسجيل الوصول المحددة التواصل مع العقار مباشرةً قبل وصولهم حتى يتسنى إجراء ترتيبات بديلة. Good place, nice room, comfortable. The breakfast was also good, not huge variety but good. Negatives (none really but...) There is no bath, only shower (not a problem for us but some people might have an issue with it). Have more tea and coffee types in the room might be useful. As everything closes at 8:00 pm, maybe having some vending machines and water fountains could be a good idea. In general the room is good, clean and quiet. 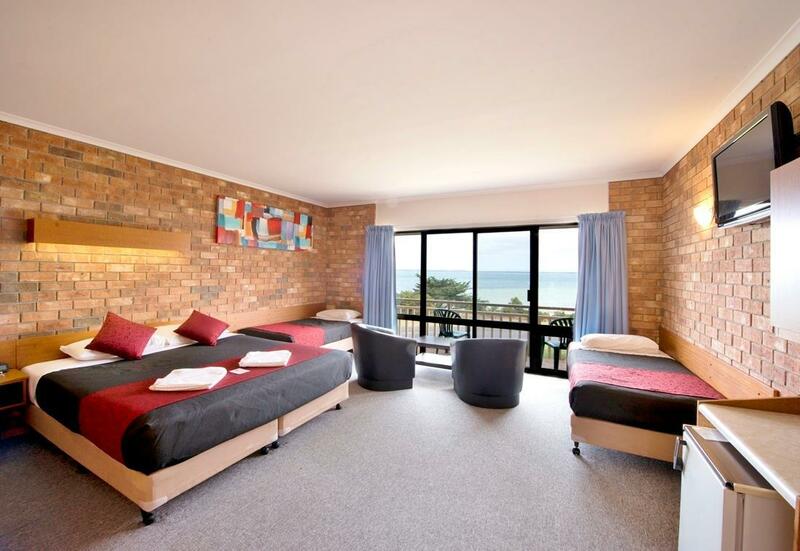 the room was huge, came with 2 single beds and 1 double bed. lots of space for 2 person, perfect for a family. beach was opposite to the hotel. room was clean, daily housekeeping. close to the main street and supermarket. The owner is well organized and friendly. We're confirmed by phone of our booking on the check-in day. 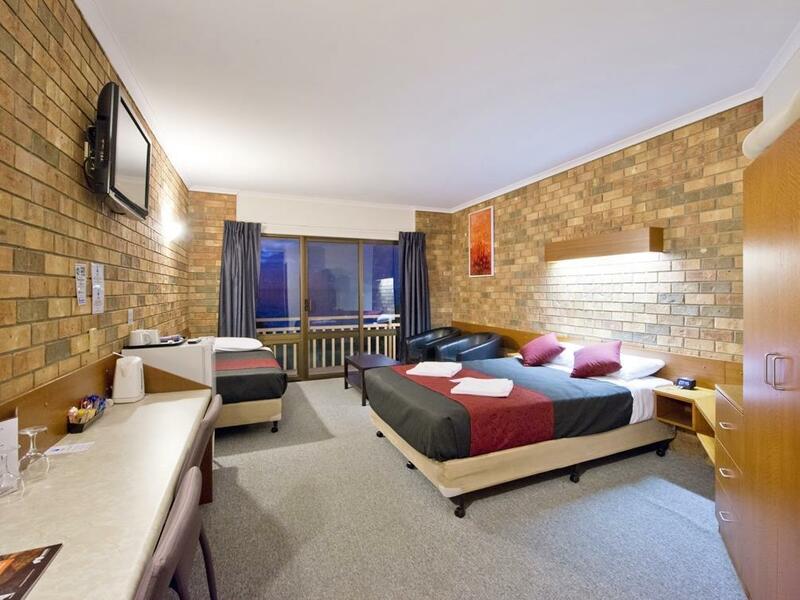 The room is clean, large, comfort and free wifi provided. We enjoy the beautiful sunset at the balcony in our room. We had a good experience in the Seaside Inn. The room was clean, with all the forniture you need. In front of the room we also had a beautiful ocean view. The staff was really nice and help us also to organize our activities. The restaurant inside the hotel is excelent! Just a stroll away from the beach, this place has a great view. One can certainly enjoy the breeze just by walking out the door. The food was delicious and fresh. the The family room was good enough, cosy and tidy. 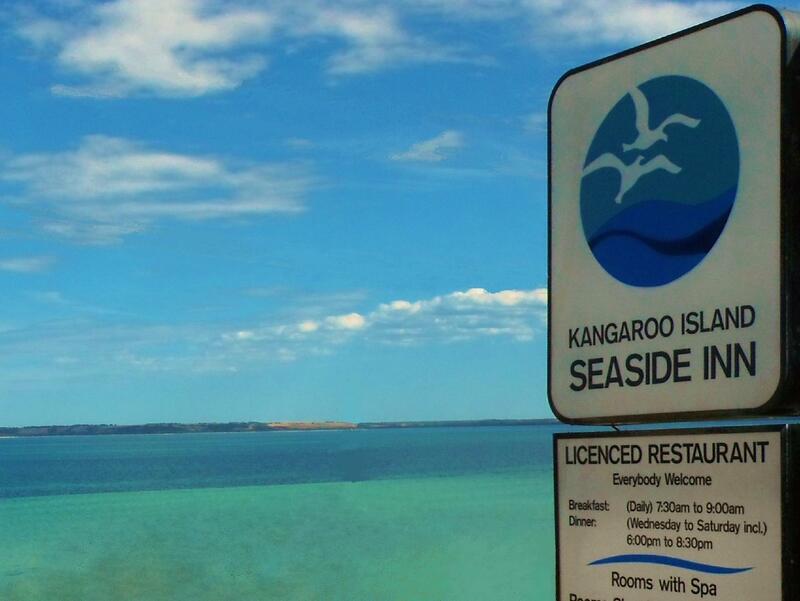 It was a good stay at Kangaroo Island Seaside Inn because there is a friendly young manager who will take care of you with patience and hospitality.Besides,it can offer you a gorgeous sea view even you just wake up and lie in bed in the morning. 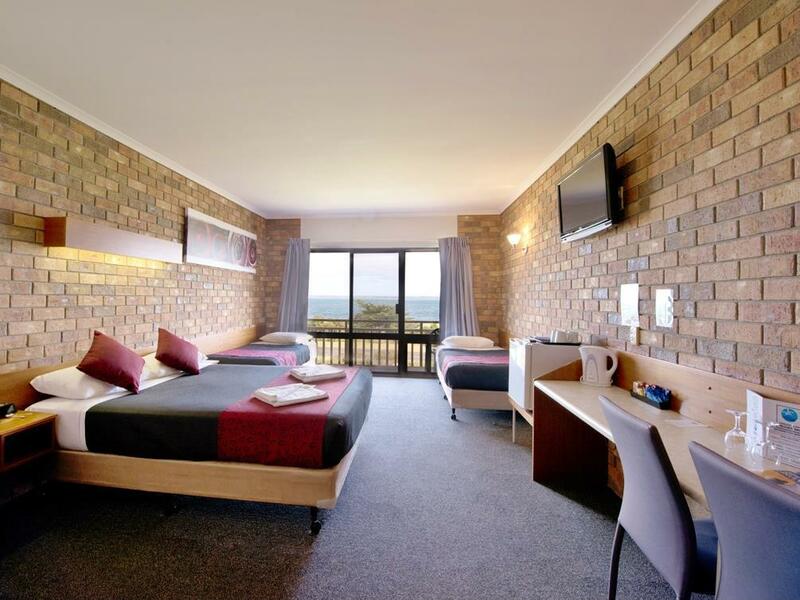 that is good experience stay in kangaroo island with my friends,we all like the room and service is really good,that place have a good sea view and make me have a relax holiday in five days.i will be come back next time. 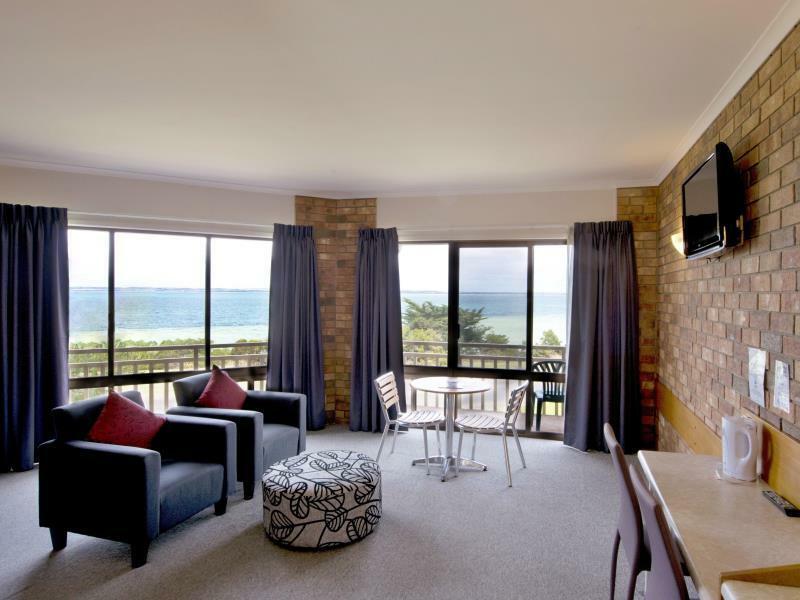 The hotel was really good, on the outskirts of Kingscote and within walking distance of the centre. There was, however, one drawback - we were there Sat, Sun, Mon nights towards the end of the season and it only served food on Sat. The food was very good but that left us with a walk into the town to get food on Sun and Monday as we could not drive our hire car on KI after dark. After a full day sightseeing and trekking around KI we could have done without the walk and there only appeared to be one place open on Sunday night . Taxis and public transport do not operate on KI so that was not an option. Despite this, we had a lovely stay but it would have been good to know this in advance, especially of you were travelling with children or someone less fit. stayed two nights there. facilities is a bit old. found it funny to have hot and cold water running seperately from two taps in the washing basin. door has "dead lock" that if you push the lock button and close the door when you go out, you won't be able to open again even with the key. it happened to me but the manager alex came up to unlock it for me. alex is very responsive. another down side is there is no kitchen or cooking facilities. there is a restuarant but we didn't try. wifi is available but only in the restuarant area and it was unexpectably fast and reliable. the room was tidy and clean. the view from the veranda was great. every thing in room was good and in good condition. in short it was great. 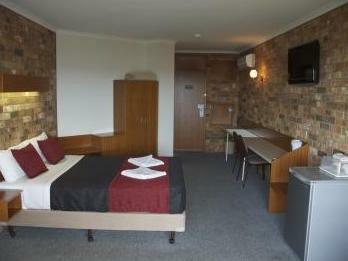 the hotel located at the heart of kangaroo island were you can found slot of restaurant, hospital, information center. i advice every one to stay at this hotel its a value mony hotel and great. Exactly what it's billed as. We loved it here. Convenient and great breakfasts. Great sea view. Walking to the breach in mins. Can reach the city central & supermarket within 5 mins by car. Terrific location excellent large room. To have room serviced daily you have to move a little token on the door daily. Easy to forget this unusual method.